Ratu Kadavulevu School plan a clean sweep of all sports competition in Fiji in 2018. 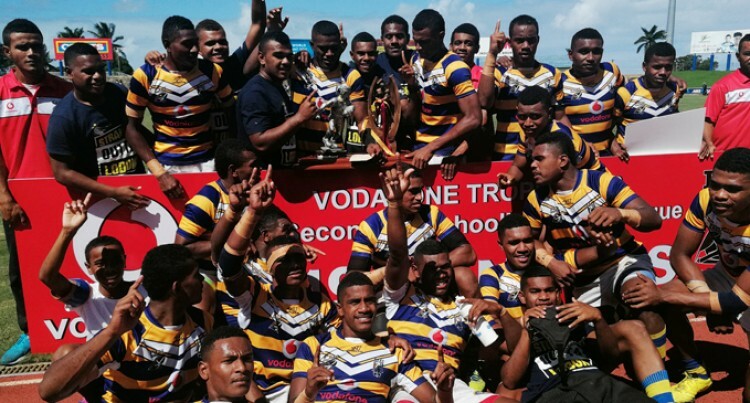 After winning all the grades in the Deans Trophy competition last year, the Tailevu-based-school RKS Eels defeated Lelean Memorial School Bulldogs 20-4 in the Voda­fone Fiji Secondary Schools Rugby League Under-19 final at the ANZ Stadium in Suva yesterday. And the boys from Delainakaikai are ex­pected to send a very strong team to the 2018 Coca- Cola Games which starts on Thursday in Suva. RKS coach Jone Vosataki said they had set their target of what to achieve this year. “Last year we came up short by one gold and it is definitely a challenge to up our per­formance every year. Our goal this year is to try and win the Coca- Cola Games,” Vosataki said. “This year we are just working on doing the little things right which I feel was some­thing we lacked in last year. “Two of the boys who played in the U19 fi­nal are members of our athletics team. “Winning the U19 final will definitely boost our preparation for the Coke Games next week. After the Fiji Finals, Vosataki says, they will focus on defending their Deans titles. In the U15 grade, Nasinu Secondary Pan­thers and Lelean Bulldogs drew 14-14 at fulltime. Nasinu was awarded the win for scoring the first try after both teams failed to score after sudden death. In the U17, Lelean Bulldogs and Marist Storms drew 8-8 all at fulltime. The Bulldogs won after scoring a try in extra time.